As Emphasize’s creative and conceptualization artist, I’ve seen a lot of online design blunders, and learned from those I have committed myself. There are a few web design mistakes that seem to happen more often than others, though, but thankfully they’re easily avoidable. Your website – and the strategic aspects behind it – is a vital tool for your Calgary business. These web design tips will help you get it right. Your website includes a variety of systems like search, navigation, and visual design that contribute to what designers call the user experience. In general, an informative, easy to use, fast-loading site will deliver a positive user experience. Now, let’s take a look at what not to do when designing or overhauling your website. Sub-par Search – The search function is one of the most important components of any website, especially if you have a lot of content, but it’s a ripe area for design mistakes. An effective search function adapts to the users choice of language to deliver useful results, even if the user makes a typo, misspells a word, or misplaces punctuation. Big Blocks of Text, Small Fonts – Overwhelmingly, readers prefer bite-sized text and adjustable font size when reading online. Avoid blocks of text by breaking up your content with subheadings, bullet-point lists, and bold text – just like this post. And it’s always best to allow adjustable font size, when possible. Confusing Files – Every step you put between the reader and your content gives them another chance to get distracted. PDFs and downloads can be useful in specific situations, but should be avoided unless there is no other choice. If readers will be consuming a document online, turn it into a web page, instead. No SEO – Your website needs traffic to achieve your goals, and a lack of search engine optimization (SEO) will make it much harder to find an audience. SEO makes it easier for users to find your site via search engines, which are still one of the most important drivers of online traffic. Defying Convention – Being an innovator is great, but many website design conventions exist for good reason. This is especially important for navigation, because users expect your site to act like others they’ve experienced. If it doesn’t, users can feel lost and lose confidence. For example, the navigation bar at the top of your homepage, for example, is where the vast majority of visitors will look for your most important links. Everyone should be able to find what they want quickly and easily (like your contact info). All Questions, No Answers – No matter what you sell, how you market it, or where you operate, most visitors will find your site because they are seeking specific information. Describe products and services clearly, offer easy to find pricing options where applicable, and try to anticipate the questions that will lead visitors to your site. Providing useful information is the best way to keep people coming back. Mobile Matters – Internet users are increasingly doing their browsing on mobile devices, and neglecting your mobile site design is definitely a big mistake. 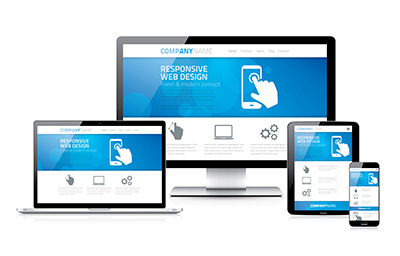 Remember to request responsive design, so your site will scale to fit every screen. A Picture Is Worth… It’s cliché, but that doesn’t make it bad advice. With website design, sometimes you need a picture or video to convey information efficiently. As an added bonus, multimedia content is often the most share-able stuff on the web. Now that you know a bit more about the nuts and bolts of web design, take a fresh look at some of the websites that you most enjoy visiting. You’ll likely find that they avoid the mistakes – and embrace the solutions – that I’ve covered above. And if your Calgary business website includes a web design mistake or two, don’t fret. They’re often simple to resolve, as long as you know where to look. Need an extra hand getting your business website up to speed? Emphasize Design of Calgary offers full-service web design resources, and the inbound marketing tools you need to grow your business effectively, and efficiently.